I have spend the past few weeks reading National Archive files relating to reports by British Liaison Officers (BLOs – that ought to be Allied Liaison Officers) and resisting, at each mention of Russians in Crete, giving Helmer the reference! There are even more than I remember. My first thoughts on reading his article were that he’d do better to stick to Mayonaisse making . Well we ARE reading an Australian here , who went to finishing school at Harvard , which means that as well as being the probable descendant of transported criminals , his family aquired riches enough to pay the fees at Harvard , a sum to make even the most doting parent of a Bullingdon club member blench . So an Aussie-Yank spoiled litle rich boy , hmmm ? So why all the averted horrified gazes at what he wrote ? Gobby is as Gobby writes , hmmm ? ” Isolation distorts perspective ” , well HE IS pretty isolated over there , in the land of the bear , where the porter on the reception desk has to have an AK47 handy , where you have to slip the Militia a large Fakelaki weekly , and where the FSB ( ex KGB , NKVD , OGPU , Cheka ) are watching everything like hawks . Rougher than Saturday night in Cairns , one would imagine . The approved line in Russia today remains anti decadent Western Imperialist ( well what did you expect from a country run by a new czar who was KGB chief ? ? ? ) and this article will assist in that nice Mr Putin continuing to regard him as ” Sound ” . PLF = aristocratically connected officer class , classic class enemy , thats it really . Turning to the presence of Russians in Crete / Greece in the WW2 era and Greek civil war aftermath , you have to realise that the history of the times is a chaotic one , for there were ” White ” Russians who were living in Europe , and probably in Crete and Greece , pre-war , minority populations of Soviet Citizens who took advantage of the German invasion of 1941 to join what they hoped would be a liberation from the Soviet State , Soviet army PoWs , escapees from camps where those were held , deserters from German organised paramilitary units , deserters from German organised labour units , and a whole cornucopia of other people bouncing around like pin-balls in a chaotic situation where lethal risk was the norm , and day-to-day shifting of allegiance the survival strategy . That there WERE Russians there in Crete and in Greece is not in doubt for we have several disparate sources that say so , when there is no ulterior motive to say so – a historian’s golden source . Exactly WHO they were and WHY they were there at that time , and WHAT their true motives were , is much harder to sort out . Very many of the Russians (of all sorts ) were forcibly repatriated at the end of WW2 by the Allied Military authorities , under the provisions of the Yalta agreements . Some sent to the tender mercies of the NKVD were actually White russians and Cossacks who had never actually been Soviet citizens ( see Count Nikolay Tolstoy’s account ) but that was all grist to Stalin’s mill . ” Death solves all problems ” was a dictum of his . Pretty unpleasant chap really . The WHO WHY WHAT concerning the Russians are the really interesting questions that arise from Helmer’s piece but seeking answers would be a time consuming journey. I did suggest it to him but maybe thorough research has no appeal to commentators! My girlfriend actually commented on this piece to J Helmer; not in a nasty way since she thought that he was being rather juvenile in a show off way. Thanks for the B+. If I had a Russian controller, he or she would call it 4-balls, and reprove me for not doing better. For you, I’d be glad to try similarly, so long as we agree that it’s still possible to write about books, as if they matter, and authors whose bodies are dead, even if their words aren’t. If you know the history of Crete, and I recommend reading about some of the great dead Cretans – try Hatzimichalis Dalianis, http://johnhelmer.net/?p=3640 – you know that for centuries, they have been waiting for the Russians to arrive. Not the British, and not the Glucksbergs. PLF knew his orders well, and he was on the island to prevent the Cretan left from accomplishing what the Greek left was achieving on the mainland, in order to prevent a dictated settlement after the Germans were driven off. There aren’t many opportunities to open this subject. This suggests PLF having some political nous. I haven’t seen any evidence of this anywhere. “a race to show off”? “Veracity was always a scratching if verisimilitude would run better”? “their prolix charm had the same finishing line”? “a paragon of writing style”? I am grateful to Tom for this opportunity to comment on Helmer’s rant not least because I will not dignify his column by commenting there directly, and at the time of writing I note it remains without direct comment. Though I don’t call myself an expert, I am one of a number of fairly well informed amateur historians who are from time to time consulted on matters to do with Paddy and his time in Crete, along with Tom and Chris W and Chris P. We may be amateurs but we are sticklers for detail as regular readers here will perhaps have noticed. Our sole aim is to discover fine detail about that period, and to separate fact from popular fiction. We carry out our research at some considerable personal expense simply for the pleasure gained from detailed inquiry and a contribution to the historical record. A welcome byproduct is getting to know and befriend many like minded people across the globe. We are approached from time to time by others, for multiple reasons, and are generally happy to exchange information with those with like interests. Unfortunately though, we are also approached by parasites. I have in the past been asked to write talks for people who make their living out of presenting themselves as experts giving such talks, by film companies who want a few facts, and our good name, to give some credence to the fiction that they try to weave, and so on. The manner of Helmer’s approach raised my suspicions but I did engage in some correspondence with him but only because I felt that providing a few facts should deter him from the line he appeared to want to follow. Unfortunately he seemed unwilling to accept what evidence there was, or that there might be solid reasons for the absence of other information. I do not feel it necessary to go into detail, he doesn’t deserve any more of my time. His piece is unbalanced and riddled with errors in that part which is my area of interest and I have no doubt throughout. I doubt that anyone could read more than a few paragraphs of it without wondering what his real reason for such venom is. He asked me if he could quote me but I refused permission as he was already misquoting me in our emails-which were confined to the Russian presence and Paddy and firearms – and because he refused to accept any alternative version even with supporting evidence. His quote from Sarafis, which I provided from my own library, is taken out of context and none of the “British experts” that I know he consulted support his comments about “Russian contribution to the guerilla war”. Helmer’s piece says more about him than it does about Paddy, or the autobiography, and what it says is not pleasant. Perhaps it is the company he keeps. PS. I did make the point to Helmer that the question of what might have happened to the question of what may have happened to the many thousands of Russians in Greece (Moss suggests as many as 3,000 could have been in Crete), would make a very interesting area of study but would require a lot of work. Seems methodical research may not be his forte, much easier to criticise the thorough digging by Artemis Cooper than do any himself. Thoroughly unpleasant, unstylish and unsatisfactory as this review may be John Helmer does make one significant point. From a Cretan resistance angle were British SOE operations, and therefore PLF himself, revolutionary or counter-revolutionary ? Well, as you write, Moss repeatedly mentioned Russians. For his part, Anthony Beevor refers to “a huge Cossack called Piotr who had escaped from the camp for Russian prisoners at Ay Galini” as being part of Bandouvas’s band (“Crete”, p.288), and he later describes Moss as “having augmented his force with a handful of escaped Russian prisoners” (p.314). I’ve always been a bit puzzled by these references, largely because it seemed implausible that the Germans would have allocated scarce transport resources to shipping Russian POWs from the mainland to Crete. However, I’ve done some digging around in Greek sources, and come up with more confirmation. A blog dedicated to the resistance leader Papagiannis Emm. 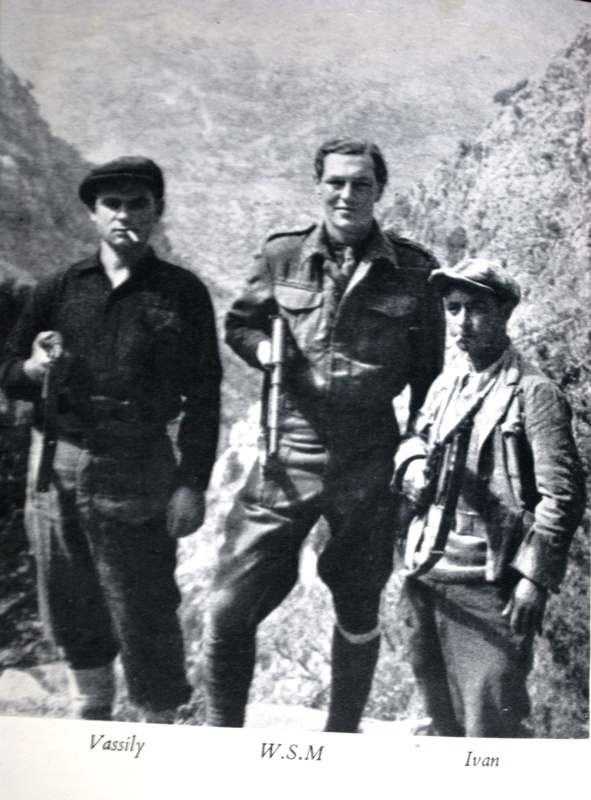 Skoulas (1903-1966) includes a long excerpt from a book by Georgios Kavos, “Germanoitaliki katochi kai antistasi Kritis 1941-1945” (The German-Italian Occupation and the Resistance in Crete) about the battle of Mithia on Psiloritis Mountain, 5 September 1944. The very comprehensive list of participants includes “the five Russians”, identified as Nik. Borsov, Petros Smakov, Mich. Choliavov, Ioann. Farafokov and Georg. Petrov (see http://papayiannis-skoulas.blogspot.gr/ ). Significantly larger numbers are quoted by Georgios Christodoulakis (born in Chania, 1925), who was arrested in July 1944. He spent some months in Agia prison and later in Kolimbari prison, about which he said in an interview: “In the adjoining cell we found some 50 or 40 Belorussians. Four of them were armed, they were guarding the others. The Belorussians were in a terrible state. One of us knew Russian and questioned them. They replied ‘We are prisoners of war’. ‘And why are that lot over there carrying guns?’. ‘They have joined the German army’.” (http://rwf-archive.gr/interviews_senaria-new.php?id=201&interview=1&interview_id=893). So it’s fairly conclusive that Russian (or at least ex-Soviet army) POWs took some part in the resistance in Crete. What I’m not at all clear about is what has provoked Mr. Helmer’s ire, and why this should cause him to project writing “a most extraordinary review full of venom and hyperbole”. Helmer seems to be unaware that Billy Moss did actually know what a Russian was, his mother having been one. She was born in Nikolayevsk Usuriski ! Oh he knew alright Hugh – because I told him (though its nice to know where she was born) He just wouldn’t have it though, no facts were going to get in the way of what he wanted to write. I can only guess at his reasons for the venom. Incidentally, I came across a completely new source of information recently which gave some contemporary new evidence of Rusians in Crete (in addition to the refs I gave him which he had suggested he had found by research!). I didn’t pass it on to Helmer because frankly I don’t now regard him as worth the effort. I read the first couple of paragraphs and regret doing to so. Really rather unpleasant and spiteful. Helmer appears to have a fixation with titles and a disdain for the truth. 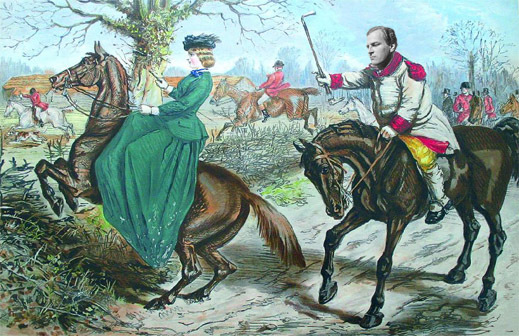 He claims that PLF “died in a viscountess’s bed”. Whereas, if my memory is right, he died in his own house at Dumbleton. Stephan – I think that was his bitchy little point he was trying to make, implying that the house was Joan’s and that Paddy was sponging to the last. Forgive the pedantry, it is something Helmer has no time for I know, but isn’t the daughter of a Viscount just an Hounourable, as in the Honourable Joan Fermor rather than a Viscountess? Given that the house at Dumbleton was the former land agent’s house (for the Monsell estate) I think it unlikely that Joan’s mother’s bed was installed there when they downsized. Never let the facts ruin a (not so) good story. Tom, you are probably right. My assumption was that his insinuation was merely salacious as that seemed to be his theme and I’d forgotten that his mother in law was a viscountess. Oh I thnk you are probably right – he was trying to be salacious! I shall not bother to read this either. I’m not even going to read this. I wrote: Very, very nasty. “He didn’t do much else.” This is sloppy as well as being thoroughly unpleasant.